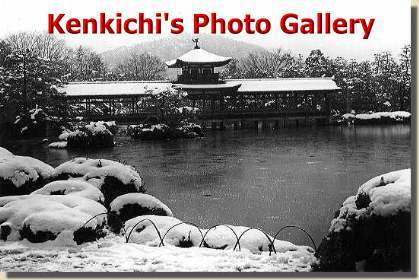 This photo gallery exhibits about 150 pictures taken by an amateur photographer Kenkichi NIWA( 1911-1997 ) who lived in Kyoto, Japan. Please mail your impression to dareka3*apost.plala.or.jp. Change "*" to "@" please. This Japan Ring site is owned by coffee@din.or.jp.